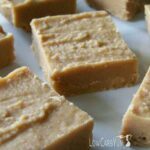 Protein powder makes this easy sugar free peanut butter fudge a filling treat. It’s a great low carb snack to take along to curb your hunger between meals. While on vacation last week, we drove by a lot of small candy stores advertising fudge. I knew that I was going to have to make a batch of low carb fudge when I got home. 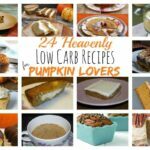 Searching the internet, there were only a few low carb peanut butter fudge recipes that looked promising. 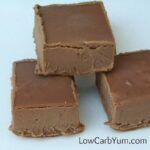 I found an easy sugar free peanut butter fudge recipe at Low Carb Friends. 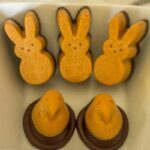 It got great reviews in the recipe forum. So, I decided to give it a try. I used sucralose as the sweetener, but I’d probably use a stevia blend next time. I’m moving towards more natural sweeteners. 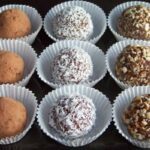 Using a combination of sweeteners in low carb treats also gives a much better flavor. 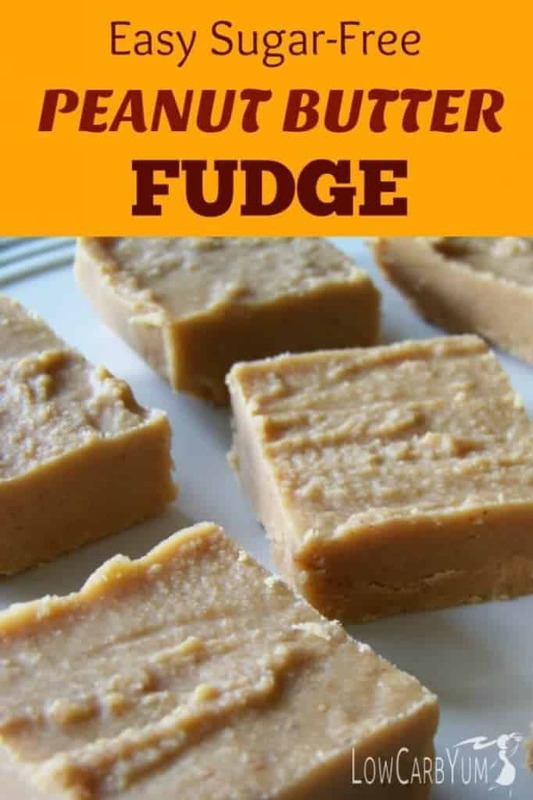 This is such an easy sugar free peanut butter fudge recipe to make. It has a nice texture and isn’t overly sweet. I chose to use the liquid sweetener to save carbs. Each serving has about 4 grams of carbs if you use the liquid versus powdered version of sucralose. 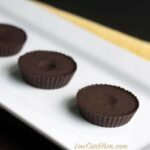 UPDATE: A new version of this sugar free fudge recipe is available for those who like peanut butter cups. I added a layer of chocolate to the top of the fudge and it tastes just like a Reese’s Peanut Butter Cup. 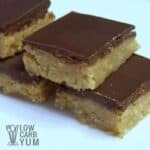 Click here to check out my low carb peanut butter cup squares recipe. 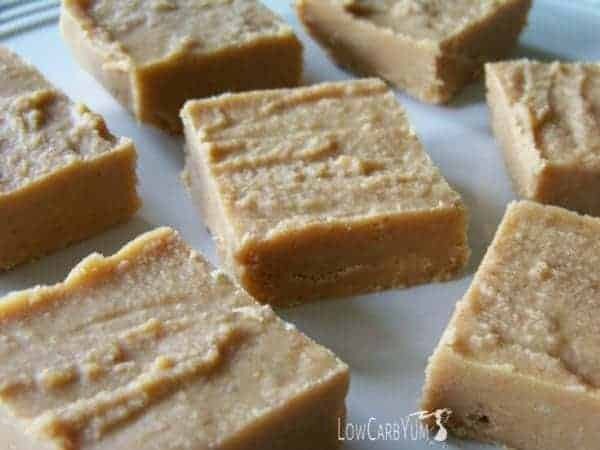 Protein powder makes this easy sugar free peanut butter fudge a filling treat. 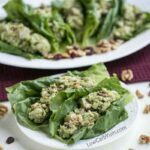 It's a great low carb snack to take along to curb your hunger between meals. Melt the butter and peanut butter together in the microwave for about a minute; whisk well. Whisk in the cream cheese until well blended and smooth. Add the Splenda and the protein powder and mix well. Line a 7 x 5 inch baking dish or 8 x 4 inch loaf pan with wax paper. Spread the fudge mixture in the pan and chill until set. They are 1:1 in sweetness. It looks delicious！is there any substitute to replace whey protein? Just a question asked for whey protein allergies. Any bland powder should work. I would try collagen powder (the kind that doesn’t gel up). Help! My fudge came out with a protein powdery texture and taste. Is there something i can add to it to save it? More cream cheese or butter? Thanks in advance! I’d try a little more fat (butter or cream cheese) to see if that helps. Just made this recipe today! 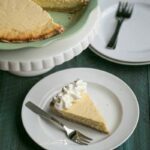 Super easy to make, and a much needed allowed sweet. Was diagnosed with gestational diabetes recently, so definitely an awesome, protein packed snack! I’m curious on how the coconut oil worked? The butter is tasty, but I found that it almost saturated the mix. Was literally pouring some of it out of my “dough” at the end. Still tasty! May cut out some of the excess butter, or try coconut oil instead! I bet coconut oil would work. They even have butter flavored coconut oil. how long do you let them set for in the fridge? I like to let them sit over night in the refrigerator, but they should be set in only a few hours. Is there anything you can use as a substitution for the whey powder? You could try powdered whole milk or coconut milk. You might be able to use coconut flour too. I used coconut flour and it worked perfectly. Hi, I love this recipe!! Do you think it could work with coconut oil instead of the butter?? I think it’s worth a try. Coconut oil does get harder than butter so it will change the texture. The flavor may change a little, but the peanut butter is pretty strong. Never mind – when all else fails, read the directions, hahaha. I see that it is 10 servings now. I know it’s easy to miss! LOL Michelle, you’re a riot!!! My husband said the same thing. He’s patiently waiting for me to make this for him. My granddaughter is going to be in seventh heaven. Thanks Lisa!! This is the second time I’ve made these in two days. My kids and I love ’em!! I add some Lily’s chocolate chips, too, and divide the dough in mini muffin papers. YUM!! Chocolate is the perfect addition. A layer of chocolate on top is also good. 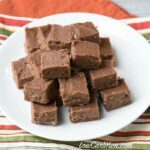 I actually used this fudge recipe as the base for my “peanut butter cup” bars recipe. Glad you and your kids enjoyed them so much!! !